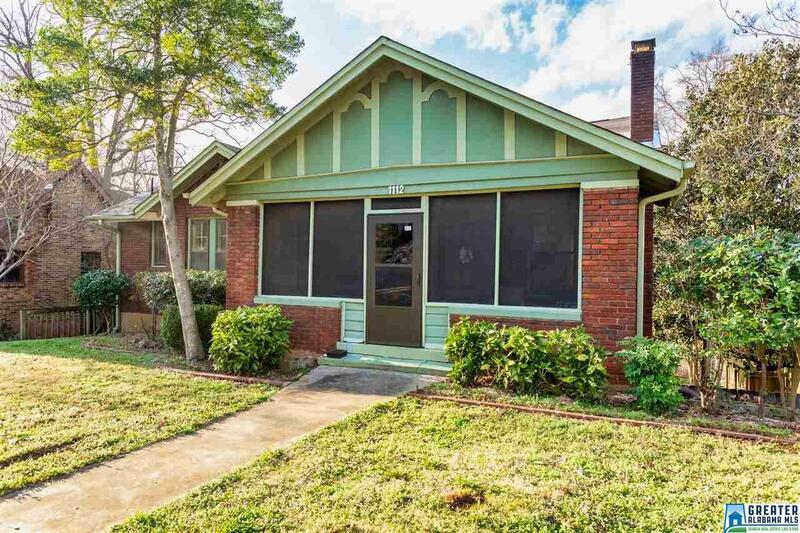 Adorable home located in the heart of Birmingham! This beautiful 2 bedroom 1 & 1/2 bath home is move in ready. Gorgeous pine hardwood floors throughout, large screened in porch located in the front, perfect for relaxing with morning coffee or entertaining friends. Large living room includes fireplace, nice size dining room, open kitchen with updated cabinets and countertops, breakfast bar, pantry, plus new dishwasher. Large bedrooms and updated full and half bath. Large unfinished basement with one car garage and lots of storage. Amenities include cedar closets, super-friendly neighborhood, lots of trees, and sidewalks. This is a must see!